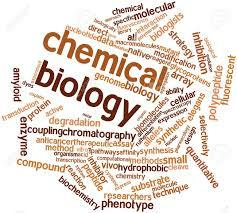 Chemical Biology is a discipline spanning the fields of chemistry, biology and physics, involving the application of chemical and biochemical techniques, tools, and analyses, and often compounds produced through synthetic chemistry, or identified through biological assay and analysis of complex protein samples, to the study and manipulation of biological systems. In particular, Chemical Biology is focused on the study of molecular mechanisms that underlie cellular function in human health and disease. Chemical Biology typically embraces the traditional fields of biochemistry, biophysics and cell biology, and employs traditional methods and tools, as well as more contemporary tools such as structural biology, molecular biology, proteomics and genomics. Synthetic Biology is an emerging area of research that can broadly be described as the engineering of biology: the synthesis of complex, biologically based (or inspired) systems which display functions that do not exist in nature. Synthetic Biology involves the rational and systematic design and construction of novel artificial biological pathways, organisms or devices, or the redesign of existing natural biological systems, in order to create systems which display useful functions that do not exist in nature. 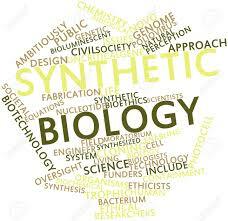 Synthetic Biology is an interdisciplinary branch of biology, combining disciplines such as biotechnology, evolutionary biology, molecular biology, systems biology, biophysics, and electrical engineering. It may be applied at all levels of the hierarchy of biological structures, from individual molecules to whole cells, tissues and organisms. 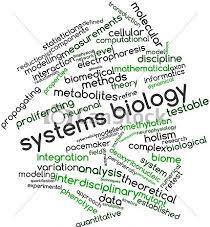 Systems Biology is an emerging approach applied to biomedical and biological research. Systems biology is a biology-based inter-disciplinary field of study that focuses on complex interactions within biological systems, using a holistic approach (instead of the more traditional reductionist approach) to biological and biomedical research.